We are proud to provide excellent service and a top notch line of equipment to golf courses and sports turf clients. We have a large mobile, dedicated sales and service team who take pride in supplying quality products, service and qualified technical support to its customers across Thailand. 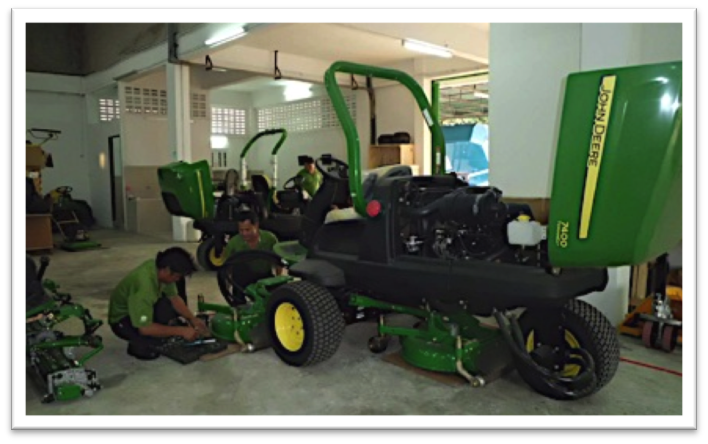 Our service staffs are hands on assisting and training the local mechanics the best preventative maintenance, sharpening and servicing techniques to ensure the club's machinery investment is taken care of the turf quality is of the highest standard.